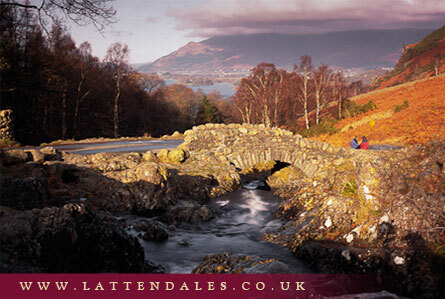 Ambleside, situated at the northern tip of Lake Windermere and at the bottom of the Kirkstone Pass is surrounded on three sides by the dramatic Lakeland landscape of Loughrigg fell, Wansfell and Fairfield. Verdant in spring and summer, a beautiful copper brown in autumn and often dusted with snow in winter, but always stunning, year round! On the edge of the town are delightful wooded riverside walks where you are immediately in glorious countryside unmatched by any other area of England. Peace and tranquillity can easily be found for those looking to recharge and unwind. For the keen fell walker, many classic high level walking routes begin almost on our doorstep. Further activities include boating, fishing, lake cruising, mountain biking and rock climbing. There really is something for everyone, so what are you waiting for? Within walking distance you will find an array of great places to eat, from award-winning contemporary restaurants to cosy pubs and bistros. Specialist grocers, outdoor clothing shops, two cinemas and live jazz venue....... all add to the vibrant mix of Ambleside. 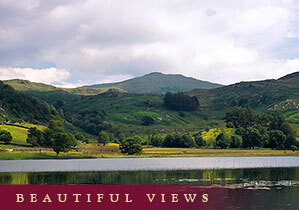 The nearby villages of Grasmere, Rydal and Hawkshead, with their literary associations, are all within easy reach, by car or public transport.